Almost 2,000 years ago, Jesus Christ, the Son of God, came to earth prophesying a wonderful future for humanity after an intense period of earth-shaking calamities. His message, called 'the gospel', means 'good news'— the very good news the world desperately needs. But what exactly is this good news (gospel) Jesus Christ preached? Is it only a wonderful story about Jesus Christ's birth, life, activities, death and resurrection? Certainly these are an integral part of the good news of God's plan for humanity (Mark 1:1). But there is so much more to His message! The deeper and vastly more encompassing message Jesus taught is rarely heard. It is most certainly good news - the most wonderful news this tired, troubled world can hear. It involves current news and affairs, history and prophecy, law, grace and hope for all mankind. It touches life and death, earth, heaven and beyond. You need to know and understand what Jesus said! 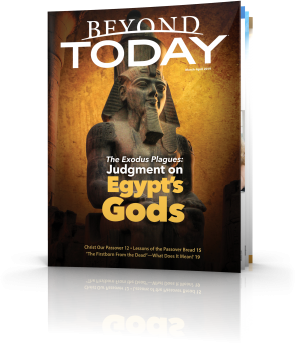 Read this enlightening booklet today! 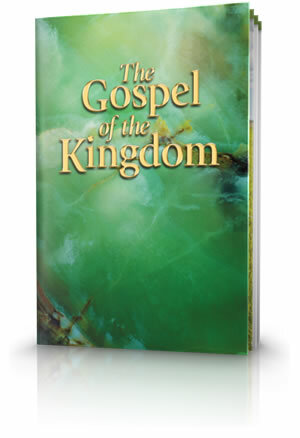 The gospel of the Kingdom of God is the message Jesus Christ instructs His followers to believe. 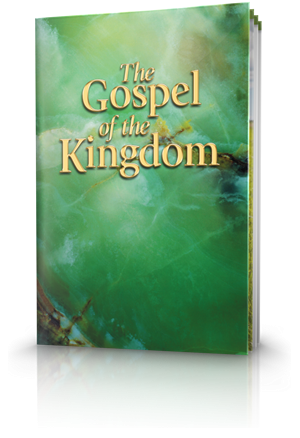 The theme of Jesus Christ's gospel message was the good news of the Kingdom of God. Most often called the Kingdom of God, occasionally other terms are used in describing the Kingdom. Scripture occasionally calls the gospel by names other than the gospel of the kingdom of God. For instance, the Bible speaks of the gospel of Christ and the gospel of God. Jesus Christ and the apostles preached the gospel, the good news of the Kingdom of God. But exactly what is that Kingdom? Is the Kingdom Here Now? Jesus Christ made it plain that the Kingdom of God was not here yet. How Are We 'Translated Into the Kingdom'? - describes physical saints as already having been translated into the Kingdom. How is the Kingdom At Hand? Prophecies about the marvellous world God has planned for us, the Kingdom of God. Eternal life in the Kingdom of God was made possible by Jesus Christ's sacrifice. Do you know how to enter the Kingdom of God?